This week our Land o Lakes office has a new addition to the family. Dr. Danielle Fernandez is a great addition to our team, not only for her experience and expertise in the pediatric dentistry field, but also for her personality and ability to make the kids feel comfortable even when they are anxious about seeing the dentist. Dr. D originally from Miami, Florida is fluent in both English and Spanish. She received her dental degree from Boston University and graduated with our very own Dr. Z. She then completed her pediatric dentistry training at NYU Langone Medical Centers in Brandon. 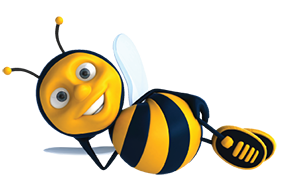 Dr. D is excited to join the Dr. Bee Pediatric Dentistry family and is looking forward to meeting everyone soon.